“Hollywood, here we come” is what many former American Idols are saying this week. Many of the Idols have flown in from all over to participate in the final week of the popular show, American Idol. It’s going to be a rather spectacular show… It’s about the American idols, about reminding people of 15 seasons. All the former winners will be on hand and many past contestants too. 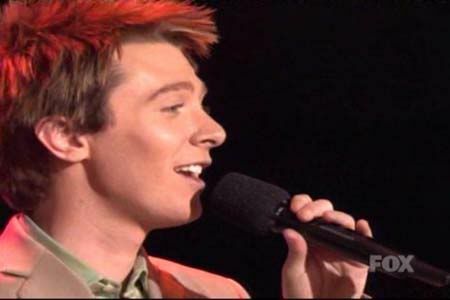 Clay Aiken has not publicly said anything about his participation in the show, however, he did fly into Los Angeles over the week-end. 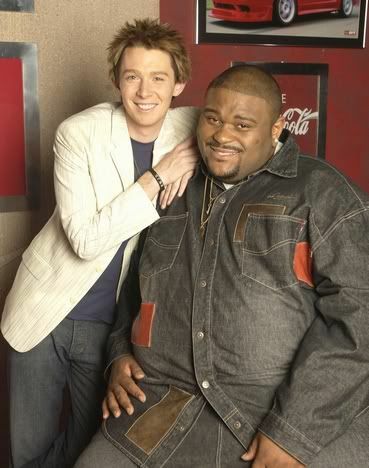 Personally, I think it would be fun if he and Ruben had a short duet together. When you say American Idol, Ruben and Clay always gets mentioned. Before the 2 day finale on Wednesday and Thursday, Fox is broadcasting “American Idol: American Dream.” It is a 90-minute special airing at 8 p.m. Tuesday. According to the Sun-Times, host Ryan Seacrest, original judges Simon Cowell, Paula Abdul and Randy Jackson and former contestants will be among those reminiscing and sharing insider tidbits. Are you planning on watching the 3-day American Idol Finale? There was an interesting article that reached Twitter on Sunday…It has nothing to do about American Idol, but it does mention Clay. Rankings determined by the number of retweets each account has had, giving more weight to newest retweets. Thanks to wowzers4clay…this video starts with the most beautiful solo by Clay. It includes all the important Clay memories of the Pre-finale night. Don’t skip this video. It is so good!!! Aren’t you glad you watched this?? I hope that some of you will tweet this article today. I want people to see this great video. Looking forward to tomorrow night, which starts the celebration! The video of Clay and the group brings back beautiful memories of Idol at its finest! I am so looking forward to tonight & especially Clay!!!! That video was fun to watch!!! Thanks Musicfan!!! This is the best 14 min. I spent today. Never saw this video before. Thanks for finding and sharing it with us. I love the video. It is perfect for this week. Thank you for all that you do here at CANN I did get a laugh about the Twitter and Clay. This is the best video. Thank you Musicfan. Thanks for the posting this video, Musicfan and wowzwers. Wonderful walk down memory lane. Great to hear Clay sing those songs again. He has the most remarkable Voice! Thank you so much Musicfan & Wowzers for that great video! Such wonderful memories!! Error: Error validating access token: Session has expired on Tuesday, 21-Aug-18 16:13:01 PDT. The current time is Saturday, 20-Apr-19 02:40:45 PDT.